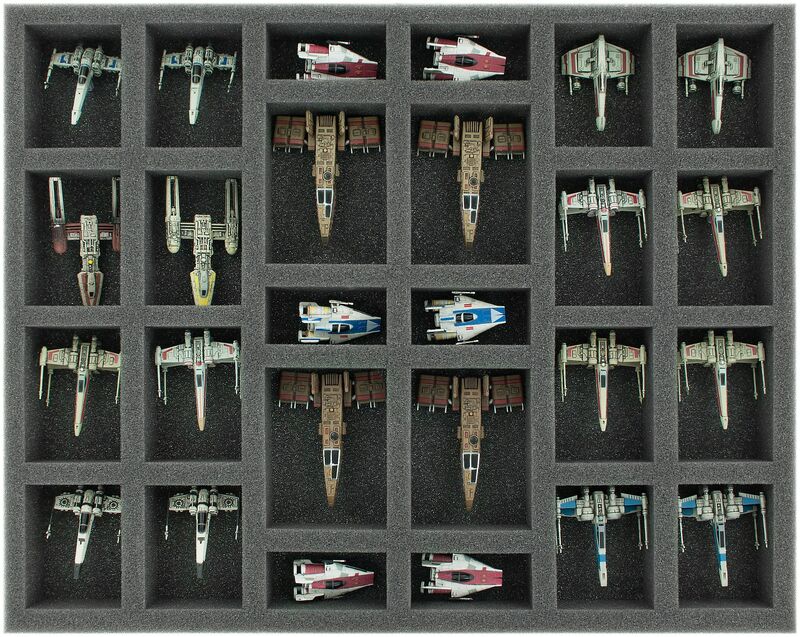 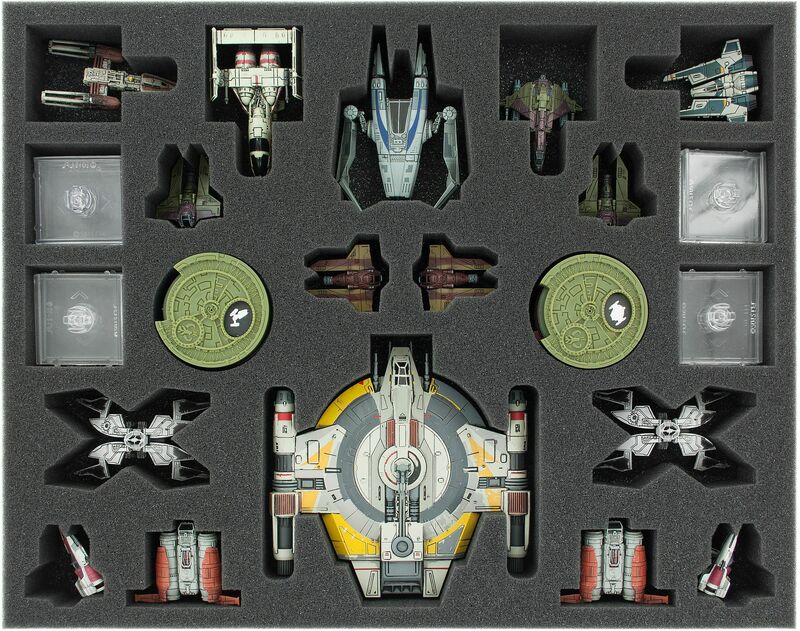 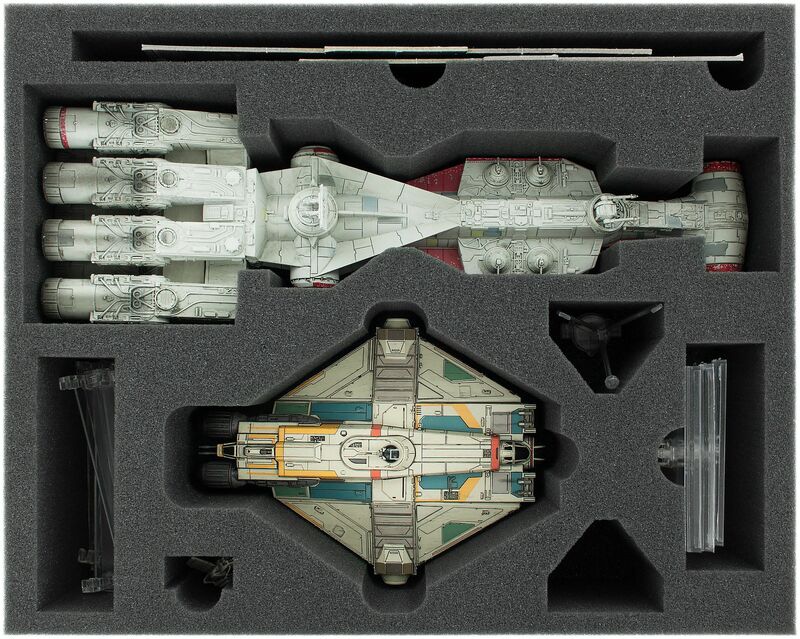 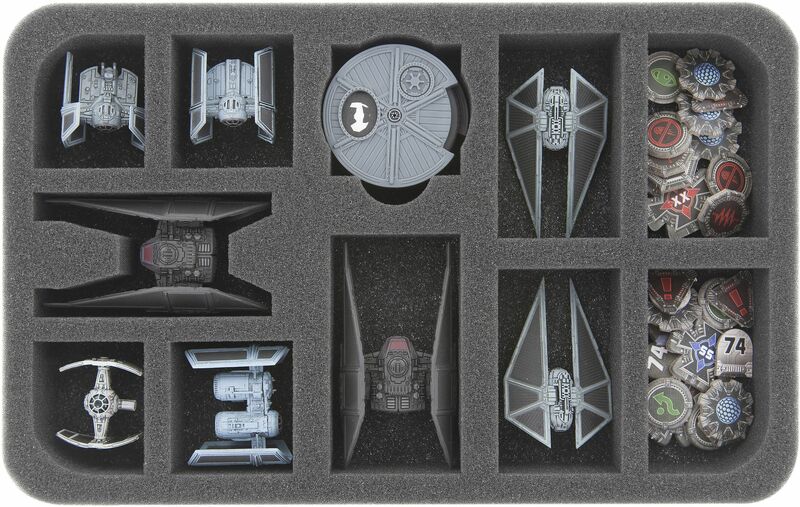 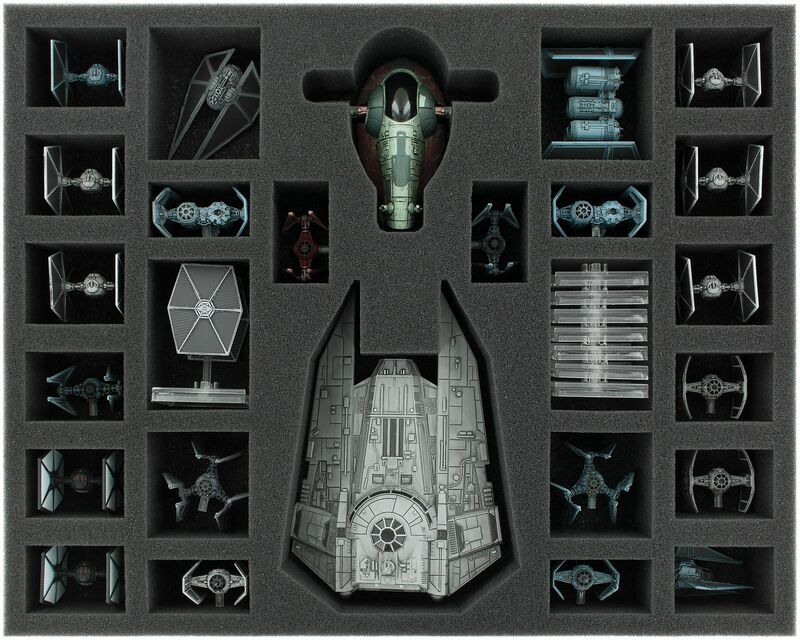 Transporter for your complete Star Wars X-Wing collection! 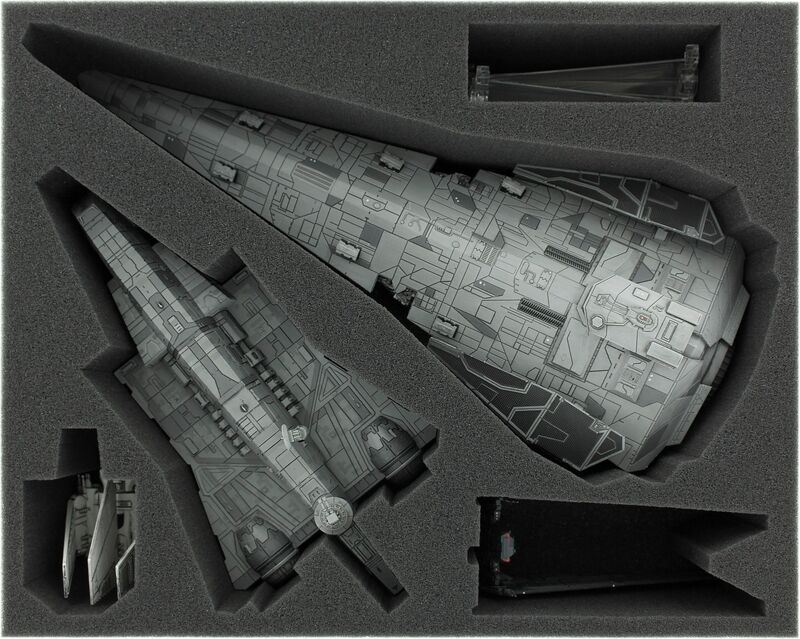 Wave 1-13 in two super sturdy boxes plus a transport bag to go with it. 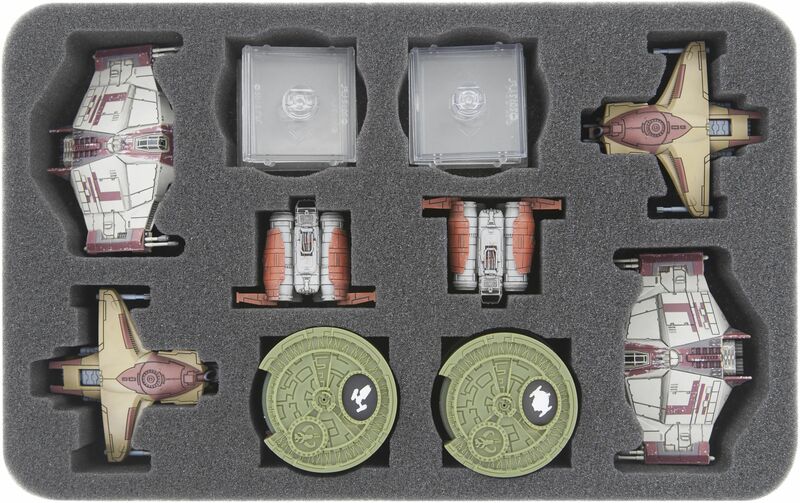 Feldherr Transporter for the complete Star Wars XWing collection Wave 1 to 13. 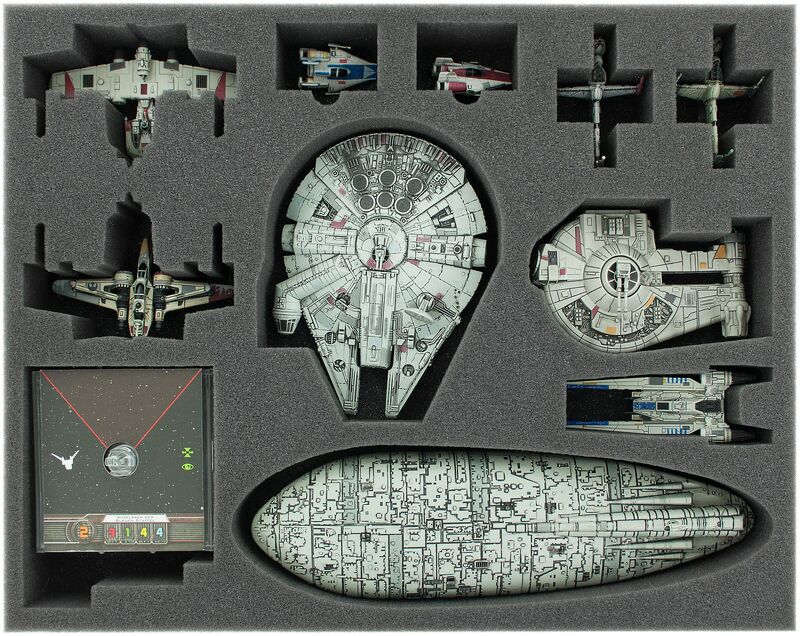 All large ships have one place each (there is also only one compartment for the falcon). 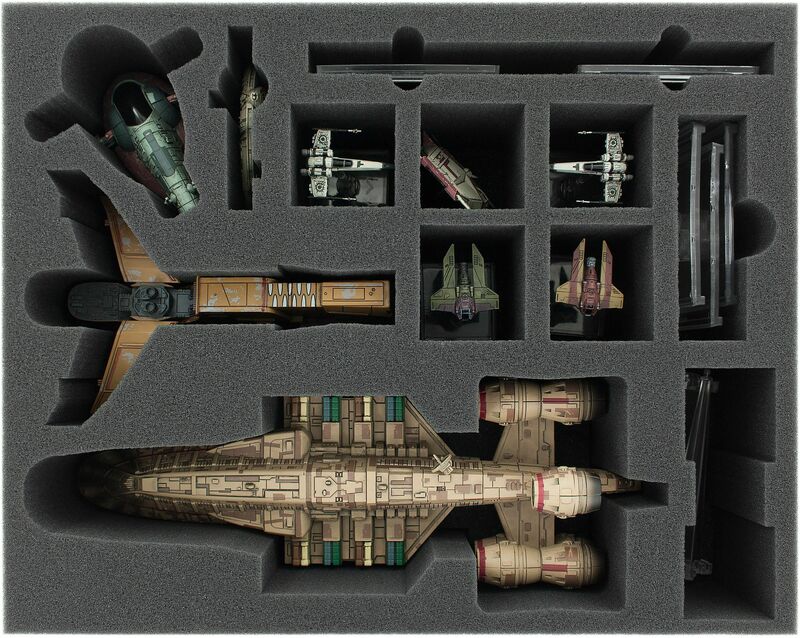 There are enough compartments for all small ships. 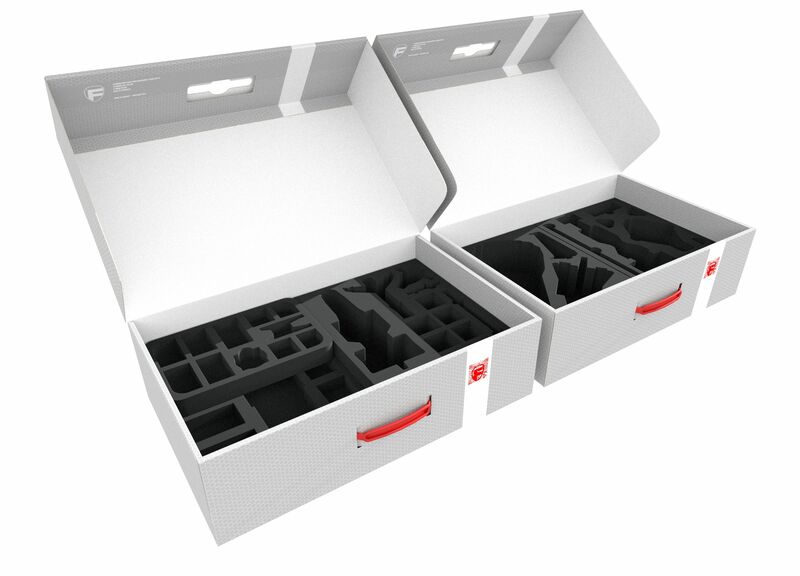 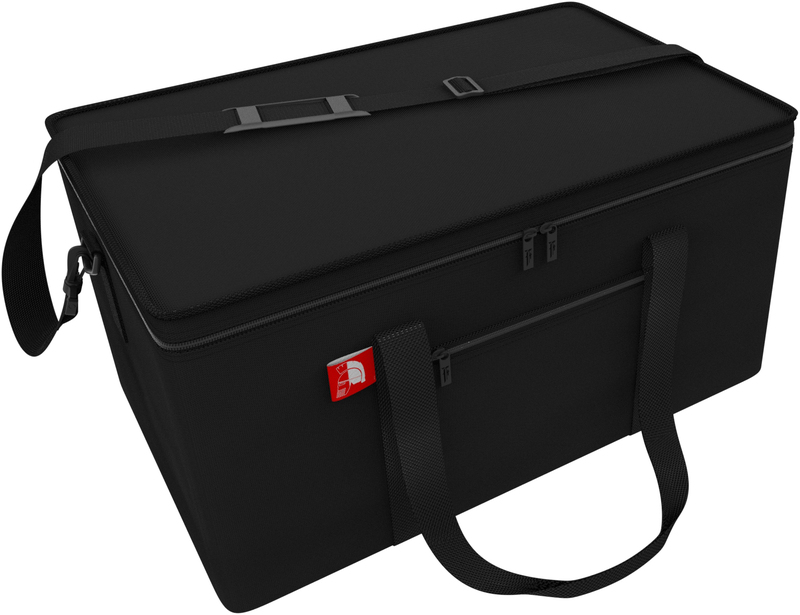 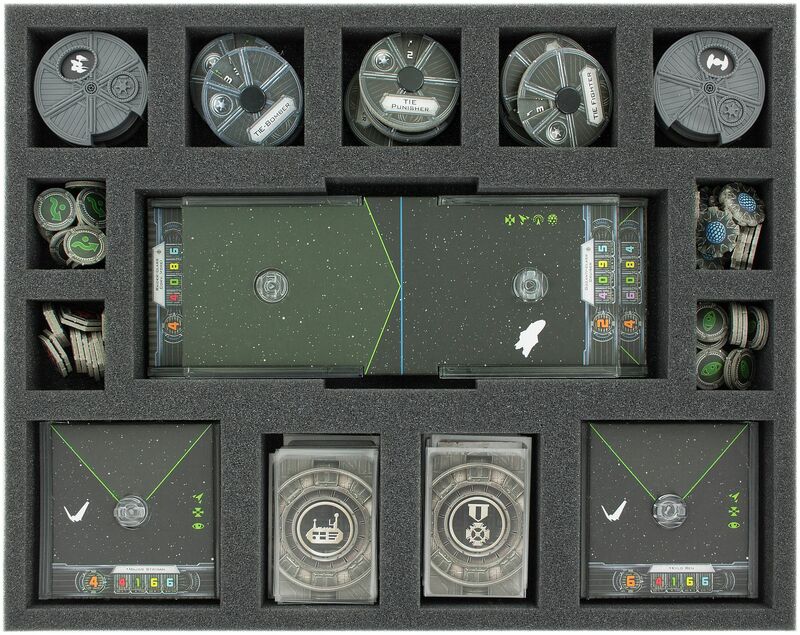 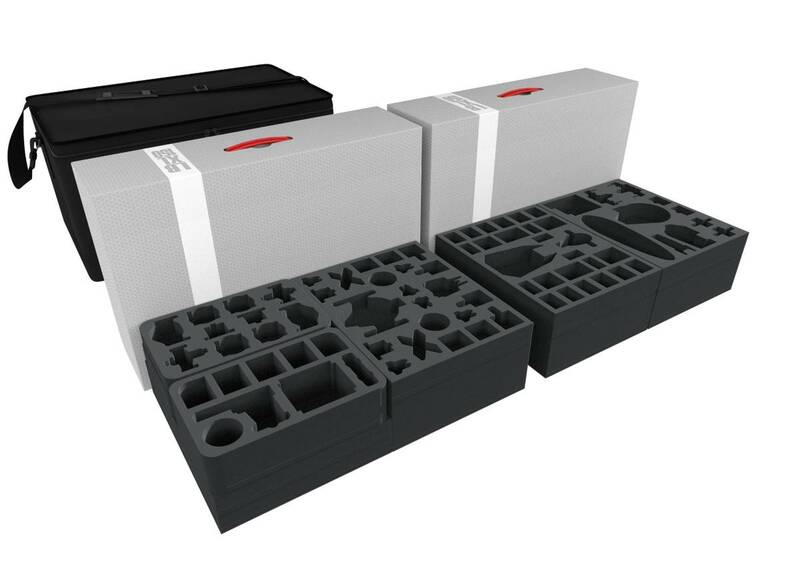 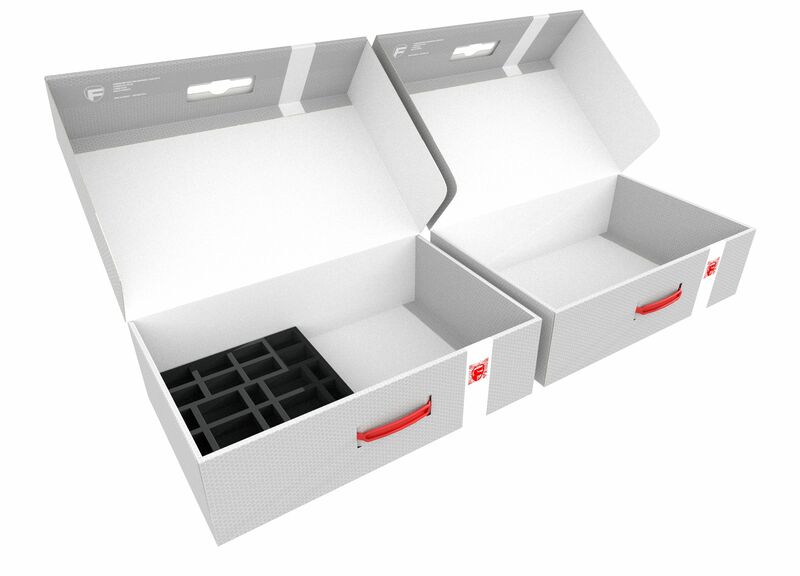 The complete set consists of two XL storage boxes which are stored in a transporter. 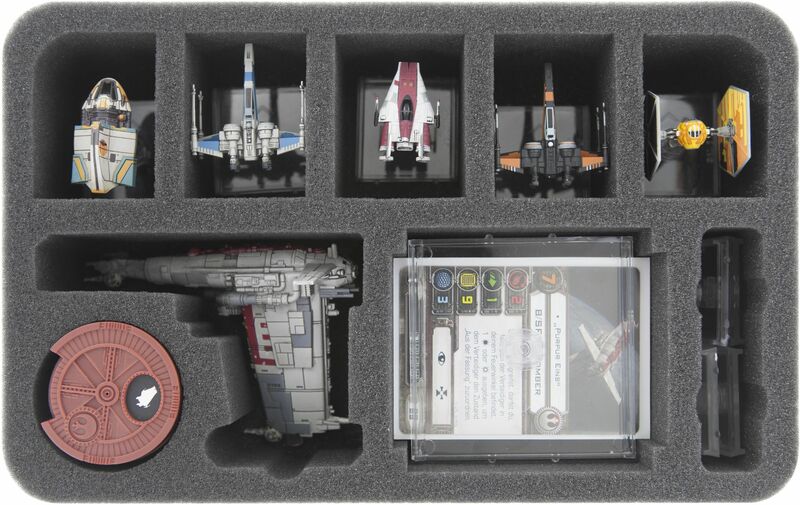 More X-Wing products - click here!